More than 100 years ago, September 18, 1918, Esther Rush started her life’s journey in Bellvue, Kansas, before moving with her family in 1936 to Nampa, Idaho. She worked at the Dewey Palace, Nampa’s premiere hotel, before marrying Dallas Rush and moving to the family farm in 1940(?). She lived in the same farmhouse that she and Dallas built until her death, March 22nd, 2019. Esther was never idle—tending to her children Darryl, Donna Lea, and Ronald; cooking excellent meals and not allowing a speck of dust in her house; working at Simplot on the potato lines; sewing clothes, including her own square dancing outfits; growing garden and raspberries and forever at battle with weeds; loving her dogs and-- cats and chickens; watching the wild birds feed from Darryl’s homemade birdfeeder; discussing the news with Ron; reading the long letters sent regularly from Donna Lea; having her hair done be Frankie or Rhonda, and providing the focus for family events for so many years. 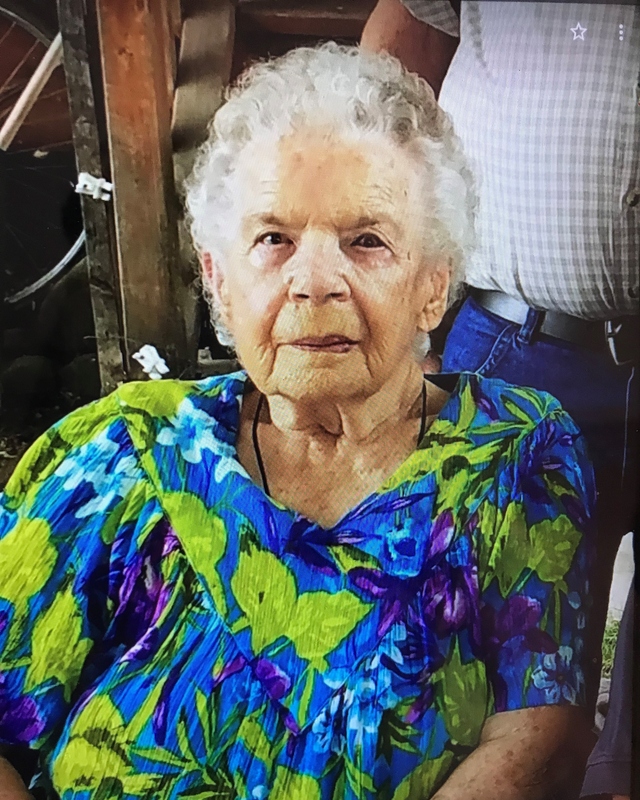 Family looked forward to her fried chicken and mashed potatoes and her raspberry dessert, to Christmas Eves at her house, to sitting in the yard under the big trees for summer gatherings, and to the best fireworks displays outside of the fairgrounds. A special thanks to Rhonda Pyle and Stacey Rush, her granddaughters, for the loving care they gave to Esther in her last weeks. Esther was preceded in death by her siblings, three sisters and two brothers, and her husband, Dallas Rush. She is survived by her children Darryl (Diane), Donna Lea (Tom), and Ron (Judy), and a daughter-in-law, Frankie Frerichs (Glen). She was grandma to eleven grandchildren, sixteen great-grandchildren, and ten great-great-grandchildren.